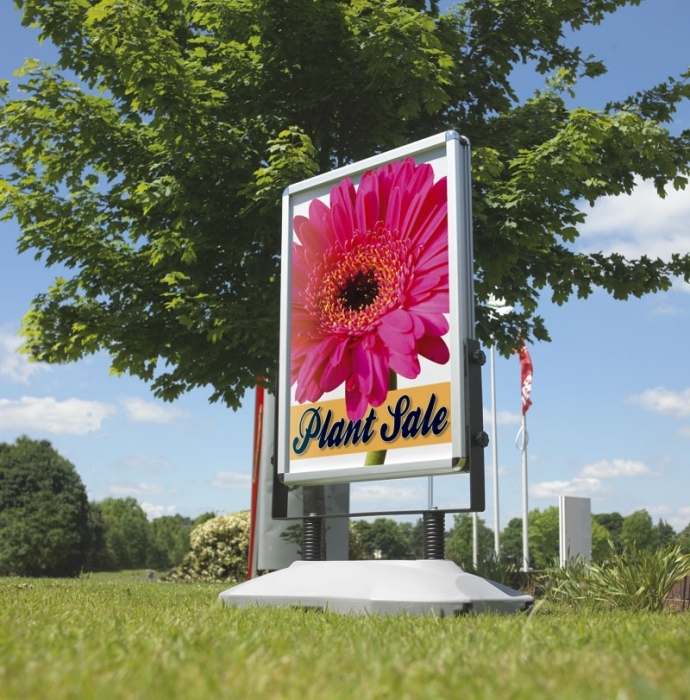 A popular choice for effective semi-permanent outdoor display. 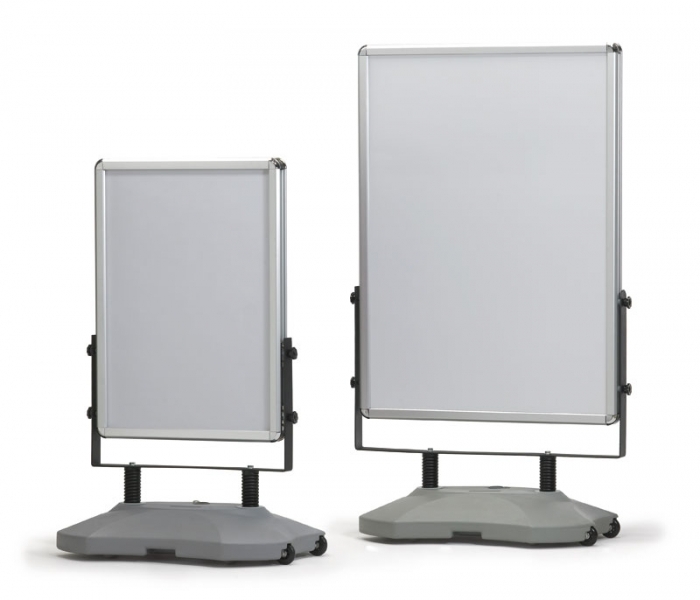 The Swing master spring mounted poster holder provides a double-sided advertising space using the snap frame method to securely grip posters in place. 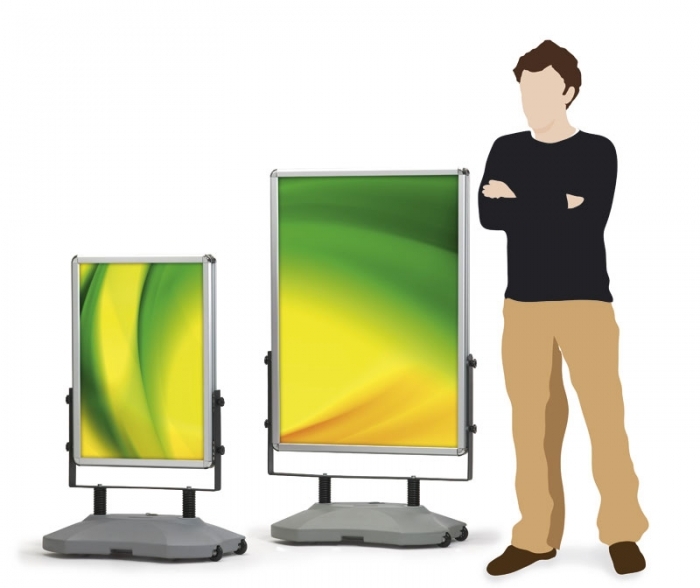 Its heavy-duty base makes it ideal for forecourt locations. Two sizes available to house A1 or AO posters. 32mm aluminum snap frame profile with chrome rounded corners. 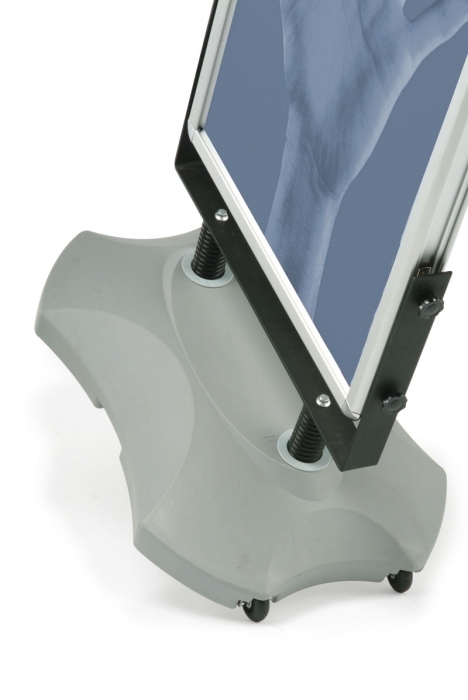 Weighted base can be filled with water or sand for extra stability. Protective acetate sheet included, graphics not included.